Capital Laser is a pioneer of the laser hair removal industry specializing exclusively in laser hair removal. 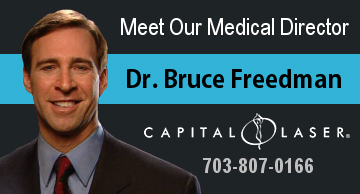 Our certified laser specialists have 30 years of combined experience. Our manager has over 21 years of experience with laser the technology and performed 22 million pulses at the same location. Most of our clients are referral-based and we have over a 90% return rate. At Capital Laser we accept candidates that we believe are fit for laser hair removal. Some laser hair specialists will serve anyone to sell services neglecting any client health concerns. We provide this free, safe, and proven procedure to all of our potential clients during the consultation period. Our service is the best in the industry, our equipment is top of the line, our staff is certified, professional and trained for the services performed. Come in for a free consultation to see what we have to offer and how our philosophy meets so many people’s needs in a time when reasonable prices are necessary without compromising good customer service and quality. *Pre-paid discount package includes 5 sessions at 25% off. ** Existing client received 25% off any single session after their initial package for that same body part. *No combined discounts. Other restrictions may apply. any single session after their initial package for the same body part. Remember to refer your friends and receive a 15% referral credit! Get started on yours today! Capital Laser has specialized exclusively in laser hair removal since 2001.